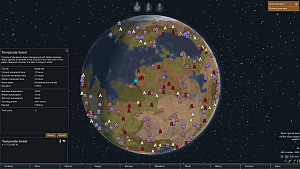 Medical items are essential for a survival game such as RimWorld. The inhabitants of your base will unavoidably catch some kind of disease, which you will have to deal with. Fortunately, there are many different ways of treating diseases with medicine you can produce all by yourself. There are three types of medicine in RimWorld: herbal, ordinary, and Glitterworld. They all have varying levels of healing potency that can be boosted with the help of lab-made drugs, but may produce certain side effects as well. In any case, you definitely need to learn how to obtain all these different types of medicine, if you want your colony to be healthy and prosperous. 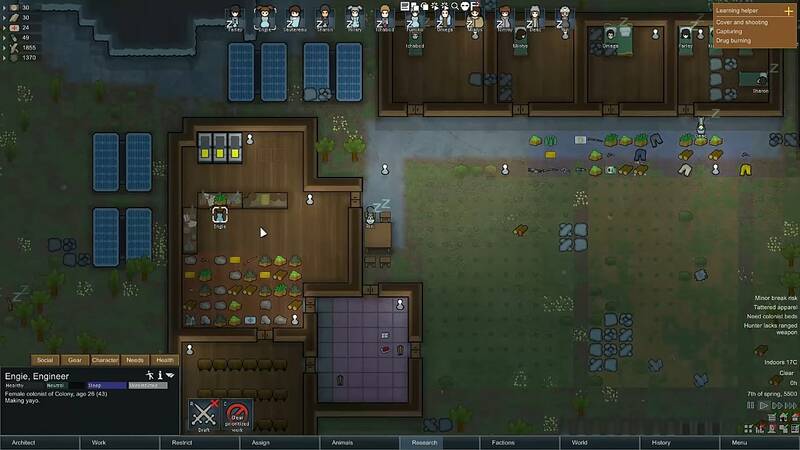 Keep on reading for all the medical recipes available in RimWorld. Out of all three possible types of medicine, herbal medicine is the least potent one. Its current medical status is set at 60%. This means that it cannot be used to treat serious illnesses, but can only be applied to heal injuries. There is one more drawback to herbal medicine -- it needs to be stored in the fridge. Otherwise, the organic concoctions will spoil, and you will have to craft them once again. Nevertheless, Herbal medicine is good to have in case you need to treat prisoners or other less valuable members of your colony without investing too much time and effort in the treating process. Also, it can serve as an additional component for crafting more elaborate drugs in your lab. Herbal medicine is produced from a plant known as Healroot (or Xerigium in the previous versions of the game). One of your colonists must have a Growing skill of 8 (at least), so you can plant Healroot in your growing zone. It is advisable to protect the growing zone with walls from wild animals. 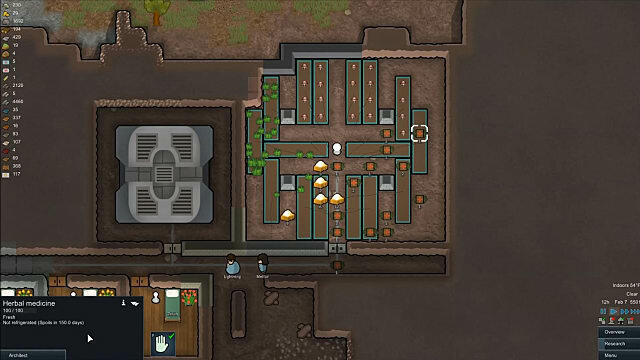 As soon as Healroot plants finish growing, which may take some time, a colonist with the Plant Cutting skill can start harvesting Healroot, which will automatically turn into Herbal medicine. This type of medicine is more effective than the herbal type, as it has 100% medical potency. This means that it can be used to treat diseases and infections, and some cases of serious bleeding that can’t be handled with the herbal medicine. Regular medicine is good enough to be used during surgeries, and can even cure such severe types of sicknesses as plague and malaria. However, the patients must have enough time for rest as an addition to the applied medicine. This type of medicine cannot be simply harvested, but must be produced in a drug lab. The two components must be researched in order to begin the production of medical drugs: Medicine Production and Drug Production. 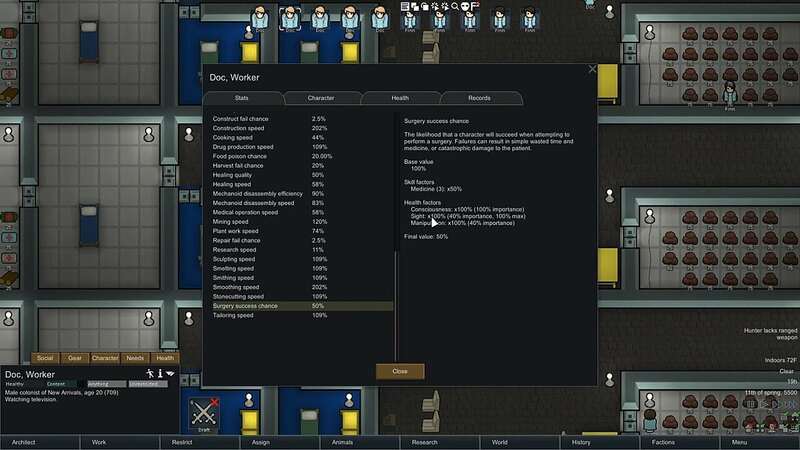 One of your colonists must have two skills for producing medicine: Medicine skill (at least 6) and Crafting skill (at least 3). You will also need three types of items for crafting medicine: 3x cloth, 1x herbal medicine, and 1x neutroamine. Cloth can be harvested after planting the Cotton plant in your growing zone. Herbal medicine is produced by harvesting the Healroot plant (see the section above). Neutroamine cannot be produced manually, but can only be purchased from orbital or caravan traders of these types: Bulk Goods, Exotic Goods, and Pirate Merchants. Currently, this is the only type of medical drug that can be produced in the lab, and it definitely should be on your priority list when crafting or buying drugs from the traders. It fully heals such diseases as malaria, sleeping sickness or plague. Since Penoxycyline is an extremely potent medicine, it should be taken cautiously (usually one pill per five days), or it will cause overdose. Then, each Penoxycyline pill will require 2x Neutromanie for production. 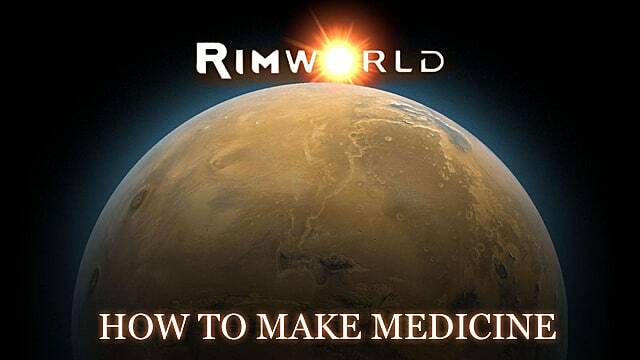 The Glitterworld medicine is the most potent type of medicine in RimWorld. It is twice as strong as ordinary medicine and should be used only in the direst situations, such as extreme cases of plague or surgeries that fight for the patient’s life. This medicine gives a great chance of success during the healing process or a surgery even in case when your doctor has a low Medical skill level. Unfortunately, this type of medicine cannot be crafted in the vanilla version of RimWorld, it can only be purchased from Exotic Goods traders for about 110-140 silver. Regardless of the way you decide to obtain Glitterworld medicine, be careful when trying to use Luciferium -- a very special Glitterworld drug that causes addiction. 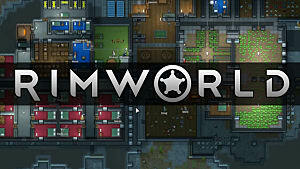 Luciferium is the most potent health enhancing medicine in RimWorld. 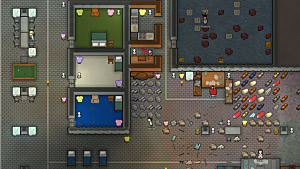 However, if in case you will not be able to sustain a regular intake of Luciferium (at least one per week), your colonists will experience uncontrollable rage bursts, which may lead to death. For this reason it is advisable to give this drug only to animals. 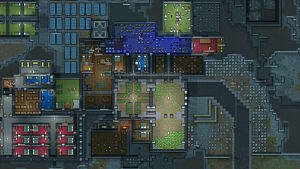 The advantages are quite impressive and will surely increase the resilience of either your colonists or animals in combat. 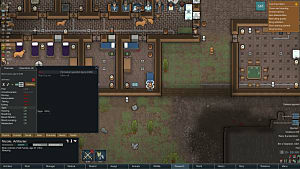 It can also be used to save a colonist from death due to its blood filtration ability, which is the reason why this drug is administered under the Medicine tab in the game. Luciferium has no side effects other than the withdrawal effects that will begin even after the patient has taken it only once. So making sure that you will be able to purchase more of it from the traders cannot be stressed enough. If the Luciferium addiction is not met in the next ten days, the patient dies. 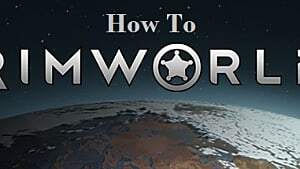 This is everything that you need to know in order to make medicine in RimWorld. 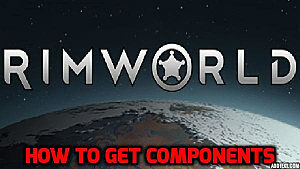 Most of your in-game needs will not require the Glitterworld type of medicine, but if you want to take your gameplay to the next level, then surely consider it as a higher difficulty option.